Run For Good is a Do Good Initiative by Central Singapore Community Development Council that aims to build a community of Runners who will run for a good cause in the community! To date, they have successfully organised a few Community runs such as the Durian Run, Balloon Run and the Coffee Run. 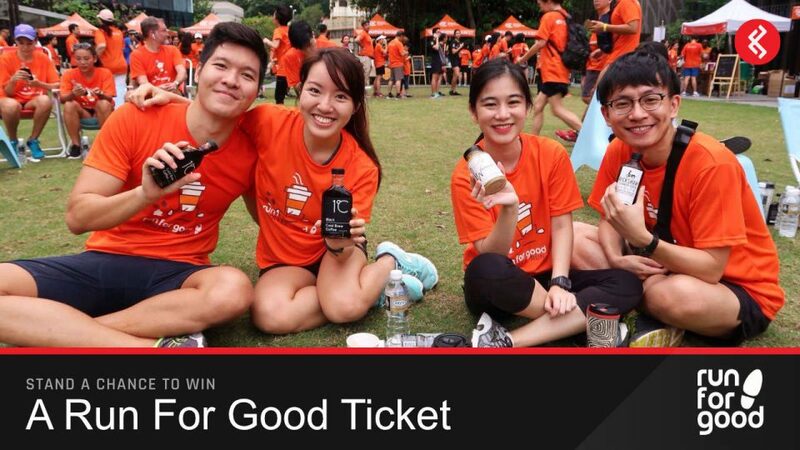 Their runs have benefited 5 Charities and encouraged a Healthier Lifestyle for Singaporeans! Want to win one of 5 entries? Simply follow the instructions below to stand a chance to win a ticket! Subscribe to RunSociety free and awesome newsletter to be eligible for the prize. 2. Let us know in the comments if you prefer Coffee or Tea? 3. Tag all your running friends to help you to win!